Our main products are food grade wrapping paper, silicone baking paper, baking parchment paper(for packaging), kraft release paper, etc. The majority of our products are exported directly to European countries, Southeast Asia, East Asia and Australia. Q3: Can you provide samples9 A: We can provide the sample free, but you need to pay the freight charge. Shanghai Yongwang Packaging Products Co., Ltd.
Its most popular use is as a lining for baking pans and trays. It can be safely used in oven as it can withstand higher temperatures. It is also used in cake decorations, pastry decorations and as a wrapper for cookies. Foshan Xin Mu Food Packaging Technology Co., Ltd.
Zibo Inno Ecotech Co., Ltd.
For the the customization, your brilliant designs will be come true in here. we all can print them on your bag , therefore the bag will be your own pattern ! The price is depend on many metrics, we dont promise the lowest price . Zhengzhou Metal Science Co., Ltd.
Shandong Yuteng Industrial Product Co., Ltd.
&diams;2.How can I get sample to check your quality9 After price confirmation, you can require for samples to check our quality. But the samples cost can be refundable after order confirmation. By the way,free samples can be provided after the first cooperation between us. , Ltd, One of the influential paper companies in China, specializes in the development and marketing of food wrapping paper and acid-free gift wrapping paper. In food wrapping field, we can offer food wrapping solutions to customers to meet their personalized wrapping demands and new product sales demands based on continuous exploration and experience accumulation. We are offering fine services to customers in the philosophy of "Customer Supremacy, Constant Progress" and the principle of "Customer First". Compatible with ALL oil and electric heated rotary drum calendars. The protective paper is designed to capture all excessive inks transferred through or off the edges of the fabric. Formaldehyde free: Eliminates a major cause of heat induced textile yellowing. Alibaba.com offers 2,761 silicone baking paper roll products. About 88% of these are specialty paper, 29% are offset paper, and 1% are kraft paper. 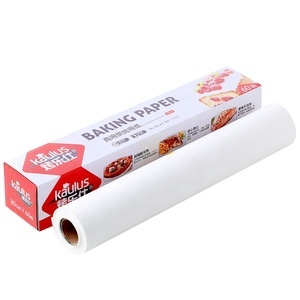 A wide variety of silicone baking paper roll options are available to you, such as food wrapping paper, gift wrapping paper. You can also choose from anti-curl, greaseproof, and waterproof. As well as from offset printing, gravure printing, and screen printing. 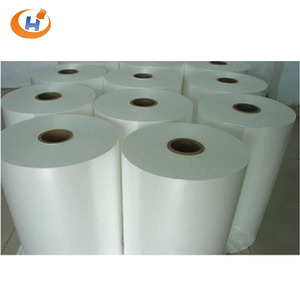 And whether silicone baking paper roll is wood pulp, mixed pulp, or bagasse pulp. There are 2,772 silicone baking paper roll suppliers, mainly located in Asia. The top supplying countries are China (Mainland), South Korea, and Turkey, which supply 99%, 1%, and 1% of silicone baking paper roll respectively. Silicone baking paper roll products are most popular in Domestic Market, North America, and Southeast Asia. You can ensure product safety by selecting from certified suppliers, including 2,761 with Other, 2,761 with ISO9001, and 1,000 with FSC certification.